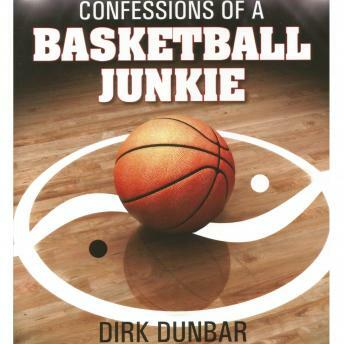 Dirk Dunbar's Confessions of a Basketball Junkie is a compelling read that offers a personal glimpse into the archetypal journey that we are all destined to navigate-from the call, departure, and tribulations to the return to the place and person we are meant to be. Filled with poetry and athletic anecdotes, mystical and humorous experiences, and truth-seeking explorations into our local and planetary purpose, this masterful memoir affirms the grandeur of being at home in the universe. While evoking the wonders of childhood, memories of growing up, and the joys of parenting, Dunbar reveals the challenge and value of a living a well-examined life. He takes us through remarkably relatable experiences that traverse the culture and "feel" of his small Northern Michigan birthplace to people and places in Iceland, Germany, Greece, and Egypt. The voyage ends with his post-basketball life as a teacher, parent, and author/activist in Maine and Florida, highlighting how we are all the sum of our experiences and relationships. In ways that stimulate tolerance and spiritual growth, this delightful account of the human spirit captures the passion of Jesus and Buddha and the wisdom of Native Americans and Daoists as well as offering unique insights into literature, film, and music. All this while recapping a phenomenal, yet injury filled basketball career that is captivating, painful, and inspiring. The ideas are big, but simply and profoundly expressed. This book is sure to touch athletes, incite seekers, and enthrall human-interest readers worldwide.